Hardwood vs Laminate Flooring: Which is Best for You? Hardwood vs Laminate Flooring: Which is Best for You? Whether you are replacing existing flooring or on the hunt for the perfect floors in a new home, the choices can seem overwhelming. One of the most common questions revolves around the difference between hardwood or laminate flooring. Deciding which one is right for you can be a bit of a process, but looking at all the options available is worth it. The first step is to consider the practical side of flooring and where it will go in your home. If it’s an area with a lot of moisture (a basement, mudroom etc.) 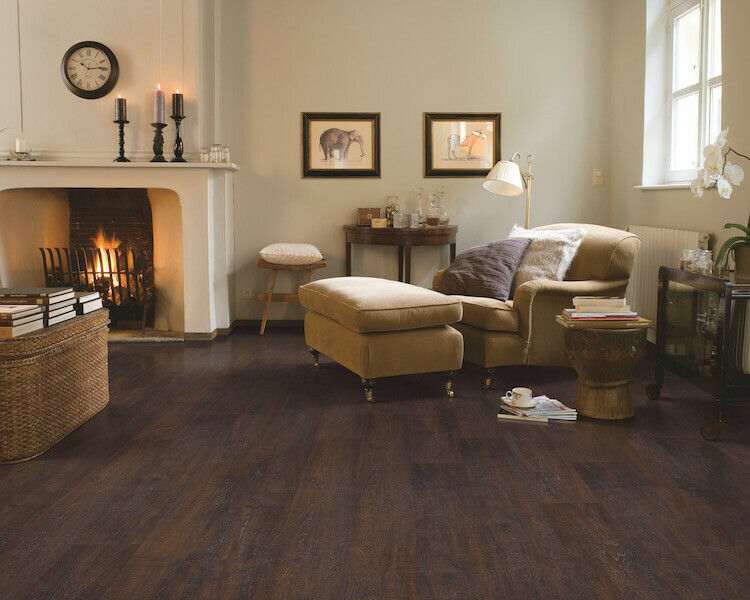 or part of your home with a lot of foot traffic, a laminate floor is probably the better option. If you’re looking to invest in your home and potentially increase your resale value, you’ll likely want to go with a hardwood floor. There’s no denying that hardwood flooring is beautiful. The natural colours and textures add warmth and value to any home. It will last a lifetime and you can re-sand TORLYS SuperSolid hardwood up to 4 times. Plus, hardwood can handle whatever your family throws its way. TORLYS hardwood floors are durable and long-lasting, exactly what you’re looking for in a high-quality hardwood floor. Now… let’s learn about the different hardwood floors TORLYS offers! This beautifully styled hardwood comes in 6-inch widths in White Oak or Birch varieties. The wide planks are 100% hardwood for stability and long-lasting performance. Each plank has a 4mm wear layer that can be re-sanded up to 4 times for a lifetime of performance. The SuperSolid 6 series is also finished with the best-in-class KLUMPP top-coat—the very latest nano-particle finish technology. This stunning choice is a floor that will stand the test of time in both looks and performance. SuperSolid 7 from TORLYS is the best in hardwood. These planks feature shades of White Oak and are beautifully textured with a wire-brushed or handscraped surface. The TORLYS patented E-Lock core helps protect the floors from gapping, cupping, and splitting. All TORLYS SuperSolid hardwood floors have a smart-cut hardwood core and precision-engineered to reduce environmental impact. To add to the versatility of SuperSolid floors, you can install them on any level of your home. Yes, even on top of radiant heat! TORLYS Smart Hardwood floors boast enduring beauty, uniquely intelligent design and environmental benefits. The Artisan Elite collection is full of character with natural lines, lively grains, and unique textures. 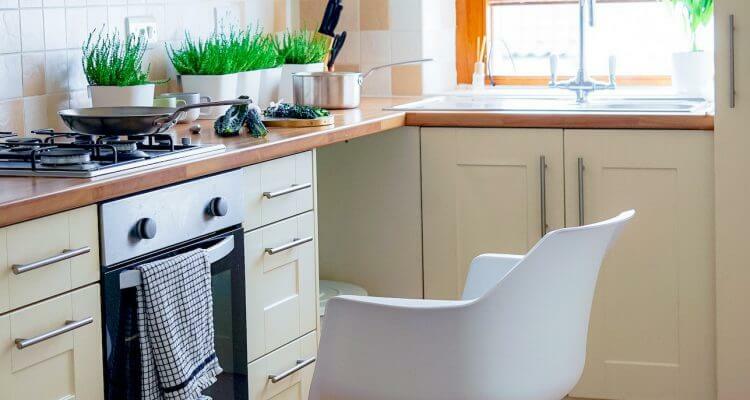 Choose from soft handscraped, wire brushed and/or cross-saw cut for a traditional, hand-crafted look in matte or medium gloss finishes to emphasize the natural grains. Each plank features a 4-sided bevel, a superior scratch-resistant coating, and CorkPlus™ attached cork underlay with Microban® antimicrobial protection. You may think of laminate as the wood-looking flooring that was cheaper than hardwood. It was notorious for developing waves and peaks over time and left you with an artificial look and feel. But that’s the laminate flooring of days gone by. Today, durable laminate flooring outperforms hardwood in a lot of areas. Most laminate flooring looks like wood planks but offers the durability of a non-wood product. The featured laminate flooring choices below are ideal for larger areas as they can now be installed transition free up to 50’ x 50’. Plus, the micro bevel on 4-sides creates a look that replicates authentic hardwood, so you’ll be the only one that knows they’re not real. 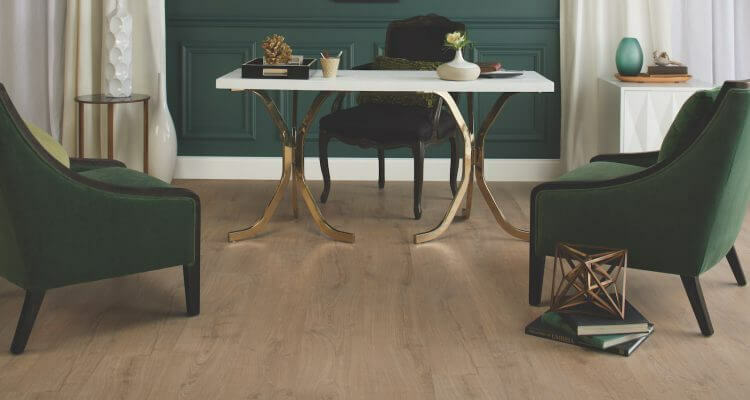 The Elka 12mm is one of the newest additions to our laminate family and will have you doing a double take. Each plank has an all-over realistic texture and is available in wide planks with modern finishes for a contemporary look. But it doesn’t just look great. It’s also incredibly durable with an AC5 rated wear layer – even suitable for commercial spaces. Choose from a subtle and stunning colour range for a space that is breathtaking. Our Envique collection of laminate floors is one of the most advanced laminates available, and offers realism at its best. The Envique line is even waterproof! With state-of-the-art technology and when installed with a perimeter seal, these floors keeps water on the surface. These floors are available in striking shades of pine and oak, which means you’ll be able to find one that works for your home aesthetic. If you’re searching for the distinctive look of vintage reclaimed oak wood, Reclaimé was made just for you. The Reclaimé Collection features unmatched realism and the visual charm of a timeworn reclaimed hardwood floor. The 12mm planks feature a “skip-sawn” texturing, offering a rustic, hand-hewn appeal. The expansive width and length add a modern feel. 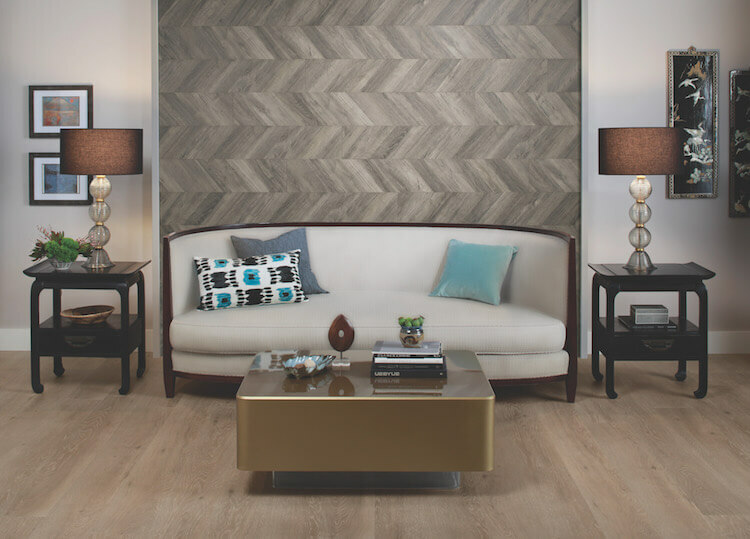 If you’re looking for something a little different, there is a chevron pattern available in our Reclaimé line! At the end of the day, your choices are endless. After completing your floor comparison, you’ll get to start looking at different textures, widths, and colours. No matter the look you want to achieve, the selection for either hardwood or laminate will make your dream floors a reality. Find your nearest TORLYS dealer and talk to them about whether hardwood or laminate is right for your home. They’ll walk you through your options and recommend the right flooring based on your lifestyle and the overall look you want to create.